I made a vision board about seven years ago that said, among other things, "Live a BIG, small life." As the start of the new year came and now has passed, I reflected back on this statement on the old vision board and thought, "That is how I want to live my life." I want it to be BIG and meaningful, but at the same time I have learned over the past year that what has really helped me during my journey through the darkness of grief has been the latter part of this personal intention, the small things. You see all the healing techniques I did last year as part of my Grief Project, the affirmations, the daily gratitude's, the self-care, the spending time with friends and family, to the creative art projects, photography, painting, writing, to the practice of yoga along with the times spent in meditation, all these little things added up to learning how to live a BIG life again and when I mean BIG I mean that I was able to re-enter the land of the living. That was a BIG step. I was also able to be more present in my life, to take in the small things and moments and really appreciate how BIG of a difference these little things helped me create the healing and life I wanted to live. So, I plan on continuing to post about parts of my Grief Project that I didn't quite get to writing about, but practiced and used to help my grief last year along with starting this new year with including more savoring and writing about the little everyday, ordinary things that make my life full of BIG beautiful moments that lead to love and healing (which I think are really the BIGGEST gifts we can give ourselves). 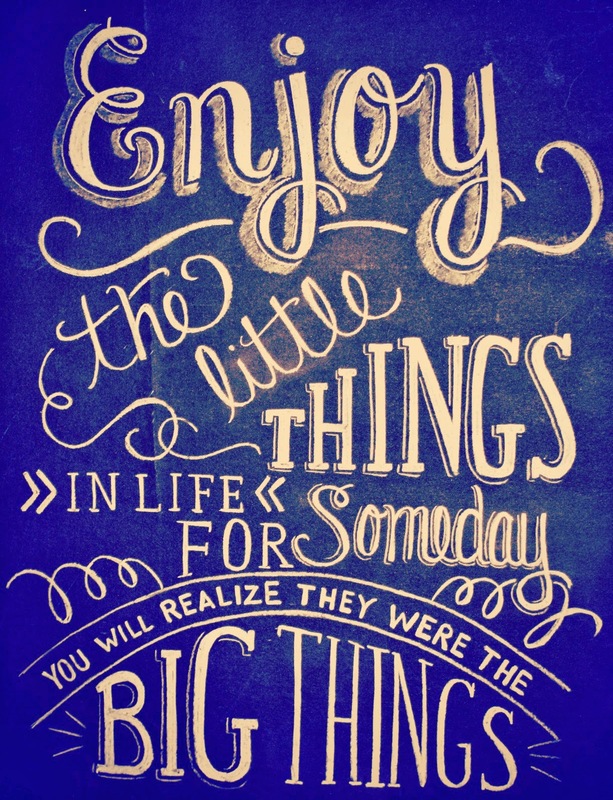 "Enjoy the little things in life for someday you will realize they were the BIG things." I hope you enjoy this journey with me and if you like, let me know what "little things" you might recommend doing to help make my life and your life feel a little BIGGER and better. I would love to try them.